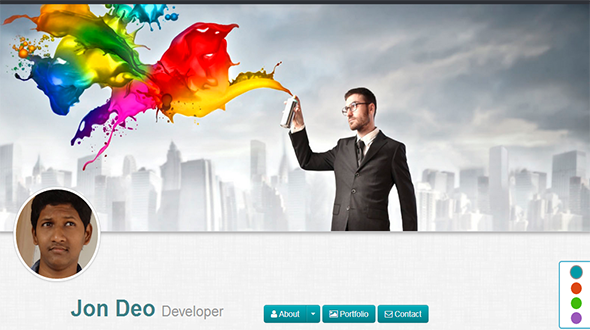 My portfolio theme is the pixel-perfect responsive HTML template based on Twitter Bootstrap Framework. It is built with the HTML5 and CSS3 latest technologies, but at the same time make it compatible with older browser versions. It is optimized for Retina Displays (used in iPhone, iPad, iPod Touch and MacBook Pro Retina). Best for the digital or creative agency, design studio, web-development company or freelancer a powerful way to showcase your work.